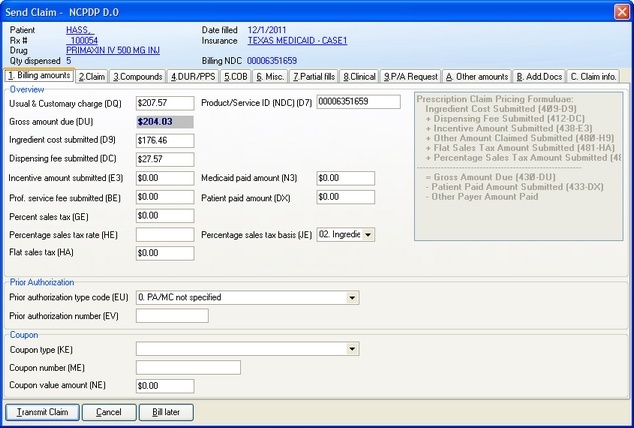 The PK Software Online Billing service was designed to allow your pharmacy to bill 3rd party claims through The Compounder Rx software according to the current NCPDP standard. When integrated with The Compounder Rx, you will be able to bill prescriptions to third party insurances using the Internet. The system also keeps track of what was billed in a detailed reconciliation file. There are several reconciliation reports that you may print or export to Excel that will help you manage the reconciliation. The D.0 billing screen is simple and easy to use. 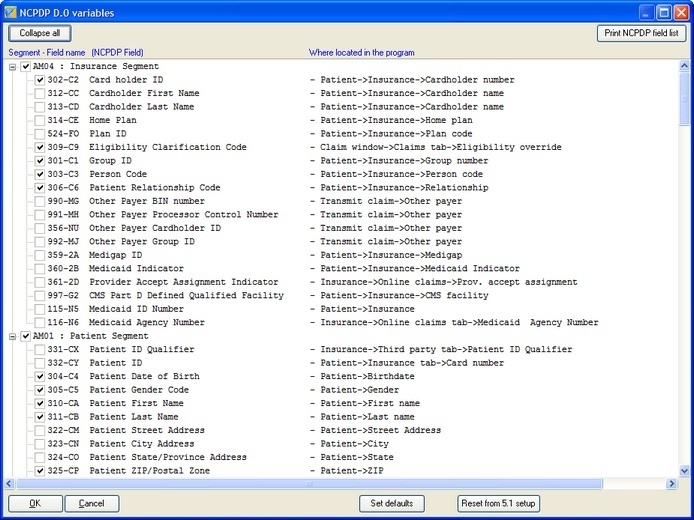 The system uses NCPDP version D.0 (older versions: 5.1, 3.2, 3.A, 3.B, 3.C, 4.0 are still available but not commonly used.) The user can define which segments are sent to the insurance company. You can download insurance plans from our web servers. This makes it very quick to add a new insurance. 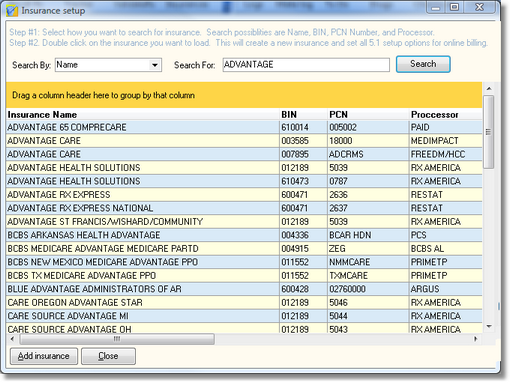 You can search for an insurance by: Name (full or partial), BIN, Processor Control number and other common items. (You must have a current support contract to access this feature). The only insurance, that we are aware of, that we are unable to bill to is California Medicaid (MediCal). If we have enough users requesting the ability to bill to California Medicaid, then we will reconsider the certification process. We integrate with RSI to adjudicate claims in seconds. The system is certified for billing D.0 Medicare claims online! A third-party processor, such as EZ-DME, is required to complete claim transactions. You may use the system to transmit claims to various workers compensation plans.